There are many versions of the origin of the word "Medeo", aka "Medeu". One of them requires a greater attention. The theory has even been proved by Professor Mushtayev Batyrbek, a nephew of Medeu Pusurmanov. Thus, Medeu is the name of the real person, who was quite noble in its time, but forgotten. Apparently there is an archived document - a petition by Mr. Medeu Pusurmanov to the Governor of Semirechie. 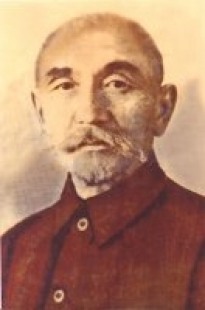 Medeu Pusurmanov was the leader of the third "aul" (kazakh word for "village") of Vernensk County of the Malaya Almatinka area. The petition was to ask for permission to build wooden houses near Kim Asar gorge, next to the "dacha" (private holiday home, normally used in summer) of the general Kolpakovsky. The response stated that he and his relatives "can build homes and farm buildings without any permission of the administration". This fact confirms the immense reputation and respect of Verniy administration to Medeu Pusurmanov and his family. According to the testimonies and memories of relatives and old-timers, Medeo came from a poor family and in his younger years used to work as a farm helper. Nevertheless he achieved a relatively high lifestyle by working hard and was able to get settled in the gorge for good. He had grazing herds of sheep and herds of selective breed of horses there. Medeu was the man quite enlightened for his time, could communicate freely and enjoy goog reputation among his famous contemporaries. Back in the early years of the twentieth century, Verniy ("Almaty") continued to be a small settlement, with a population of 27,000 people. The only main street in those days was the street named after General Kolpakovsky (later Lenina - today's Dostyk). The street among the orchards and Tien-Shan fir tree led directly to Medeo's property. There were only 1935 homes in Verniy in 1893. And in this small town a certain territory belonged to Medeu Pusurmanov. The allocated land was used to build wooden constructions and were easily be considered as elite housing of its time. Medeu Pusurmanov died in 1908 at the age of 58. In 1920, the commissioner and the writer, D.A. Furmanov ordered the opening of the first Recreation Area with a clinic to treat patients with Kumyss (fermented horse milk). It was the building of the School for Trainee Foresters in the gorge, i.e some of Medeo's houses, which by that time functioned as a School for Trainee Foresters. Medeu Pusurmanov actively participated in the construction of Verniy and put a lot of effort and energy to gardening and landscaping of the city and its suburbs. 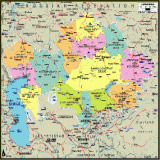 Medeo and his relatives did, what would seem unusual to nomads - gardening, horticulture and trade, thus calling on the Kazakhs to a settled life, agriculture, handicrafts, etc. Also, he is one of the most active participants in the charity, sponsorship activity of the city, helped the city a lot to recover from the consequences of earthquakes, floods and famine. Hence his immense reputation and popularity among Vernensk city government.